Innovative homeowners are always seeking the next big thing. Trends occasionally come and go, but when it comes to kitchen cabinets, styles are often here to stay. 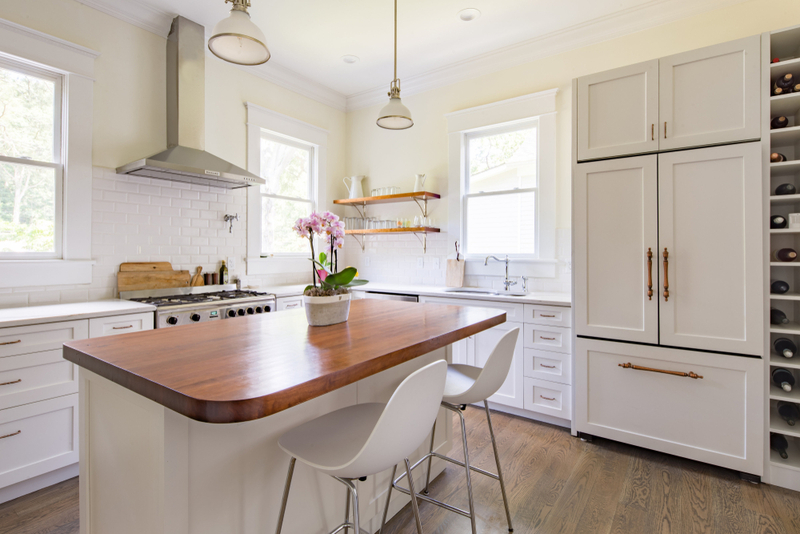 If you’re looking to spruce up your kitchen without the stress of an entire renovation, changing your cabinets may give the heart of your home the facelift it needs. 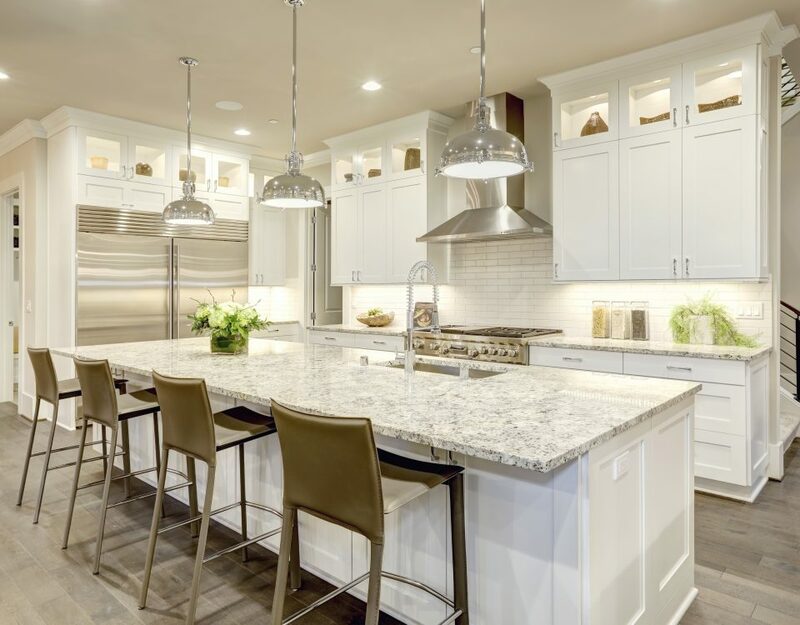 The following are just a few trends to look out when selecting new kitchen cabinets Walnut Creek residents will all love. Cabinet Colors: White, Grey, Blue and Dark Colors are in! White is an ongoing favorite and go-to kitchen cabinet color. White makes the kitchen cabinets look clean and tidy, and that is why homeowners love it. White kitchen cabinets are beautiful and timeless and are versatile with many kitchen styles. White kitchen cabinets Walnut Creek homeowners continue in popularity. Grey is the second most popular choice in color for kitchen cabinets Walnut Creek. Grey cabinets are versatile for many looks and projects, and grey pairs well many elements and accents in your kitchen. 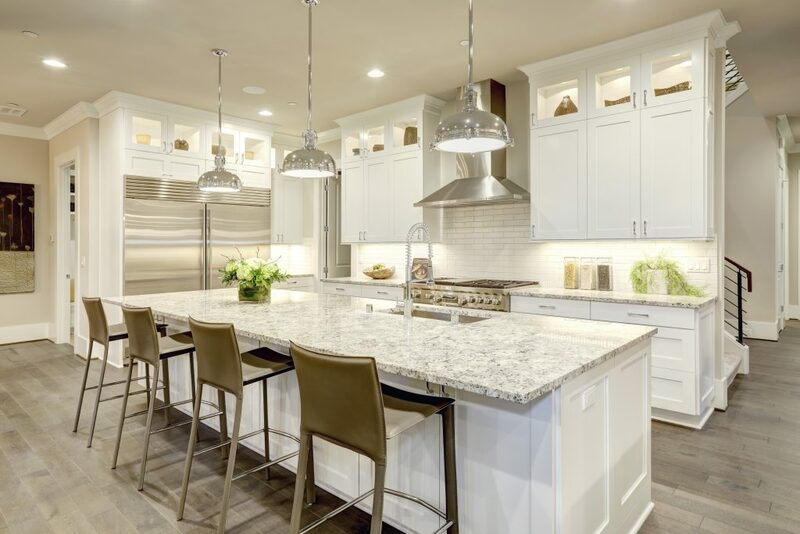 While white and grey cabinets are popular, dark kitchen cabinets Walnut Creek is making its way into the mix. Dark colors have a look of elegancy and they have a modern feel. Dark kitchen cabinets enhance a kitchen space with a dramatic and luxurious feel. Homeowners are always looking for intelligent storage solutions. Kitchen cabinets Walnut Creek have expanded beyond storying plates and silverware, now accommodating a wider variety of home items. Homeowners with young children and cluttered playrooms might find that effective storage solution cabinetry best fits their lifestyle. A traditional look on the outside, with plenty of room within… what’s not to like? For the modern or minimalist homeowner, open shelving has grown in popularity. In the past, homeowners have shied away from open shelving to prevent a cluttered look in their homes. However, streamlined open shelving solutions and minimalist style have pushed this trend to the forefront of cabinetry. Open shelving, when paired with the right items, gives your home a clean and open feel. Homeowners looking to embrace this open-shelving trend truly have nothing to hide! Did any of the above trends catch your eye? If yes, call the experts at Century Cabinets to get one step closer to your dream kitchen!